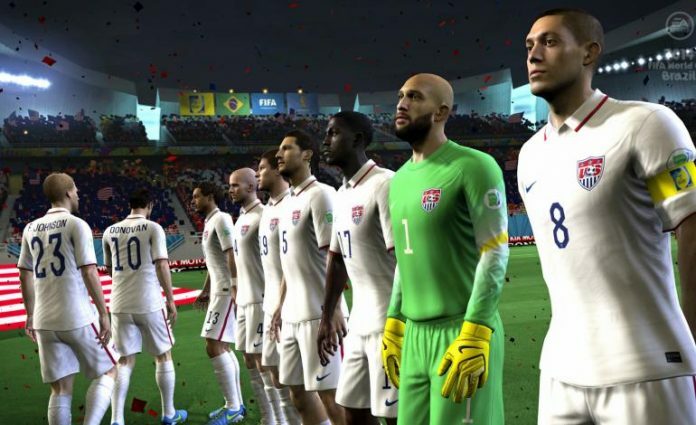 Yes, the 2014 World Cup video game is not on next-generation consoles. And that’s too bad. But on the XBOX360 and PS3, there are few games finer than this one. When EA Sports announced that they were not making their World Cup game for the Xbox One and PS4, they were always going to be putting themselves in a public relations hole. After pushing FIFA 14 for next-gen consoles, people were always going to be angry when those consoles were forsaken for the World Cup game. The reason given by EA Sports for the decision was that there are not enough next-gen consoles in countries other than the US – most notably, host nation Brazil, to warrant the expense of making separate games. Now then: The World Cup game is a carnival in it of itself. If you love football, it’s a must-have. It’s not an EA cash-grab, rather, it’s a collector’s item. There’s only one of these every four years. Upon starting the game, you immediately notice differences from the regular FIFA game. The menus are brighter and more colorful, an overt nod to Brazil. Presentation is perhaps the main strongpoint of the game. 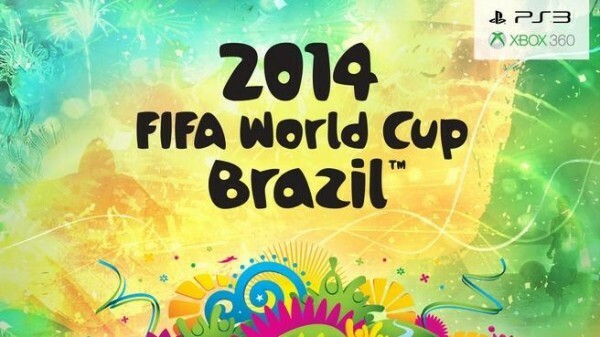 While the presentation of the regular FIFA game is limp and bland, the World Cup game sparkles in this category. Each World Cup stadium is in the game, and the fly-ins to those stadiums are far better than the fly-ins on next-gen FIFA 14. Between the music, confetti, national anthems, and official kits, you can feel the atmosphere of the World Cup. The attention to detail is also appreciated. 19 managers are in the game, including the likes of Scolari, Hodgson, Klinsmann, and Del Bosque. National anthems can be played in the game menus, each team has qualifying kits for the qualifiers, and even training uniforms. The gameplay itself is certainly faster and more “accessible”, as EA likes to bill it. 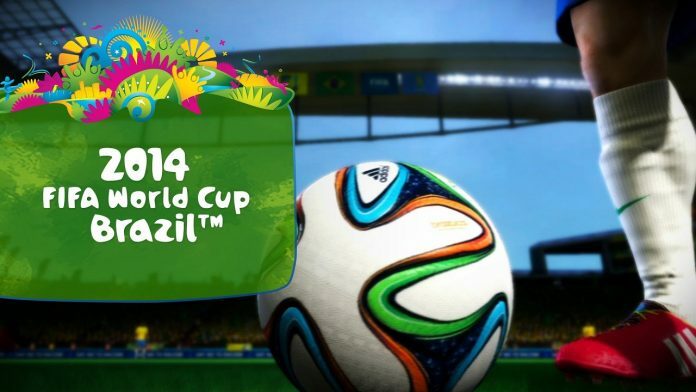 Think more 2010 World Cup South Africa than FIFA 14. While the realism is still there, it’s been slightly dialed down to create more scoring opportunities and an end-to-end game. New additions are over-the-back headers, and the fantastic set piece tactics. Crossing is much more difficult in this game, while the goalkeepers appear to be better as well. There are plenty of game-modes to ensure that this is a game you can play for a long time. To start, you can play a World Cup Finals campaign, but Road to the World Cup has all the authentic qualification formats, with friendlies, playoffs, and EA Sports Talk Radio, featuring the Men in Blazers and Ian Darke and Andy Goldstein, to keep you entertained as you march towards Brazil with any of the 203 FIFA-sanctioned teams in the game. Story of Qualifying is a throwback to the qualifying campaign with scenarios taken from the real-life events. As much as the World Cup is about the glamour teams in the Finals, it’s about the minnows in tiny stadiums reaching for their World Cup dream. This mode takes you along that journey. A bonus: For big teams like England, Germany, and the USA, there are scenarios from every single qualifier. Also returning is Captain Your Country, the World Cup’s My Player mode, along with an online mode called Road To Rio, which takes you along a tour of Brazil as you try to work your way up to the Maracana. When the tournament kicks off, Story Of Finals will allow you to replay the games as they happen in Brazil. The World Cup game pops off the screen. Nowhere else will you find all the game’s national teams, with unprecedented coverage of kits, managers, and commentary (very good, from Clive Tyldsley and Andy Townsend). The game is great fun, and captures perfectly the spirit of the World Cup. Because after all, who doesn’t love the World Cup? Also see: Our guide to FIFA 14 Wonderkids: the best young players in the game. i love football my fav. player messi and i wish all the best for the participants. has anyone had any problems with the WC game? My friend and I are playing as 2 different sides and we find that if there are 2 matches in 2 days, the 2nd match always gets skipped after the 1st game is played…..